Curry powders are made up of turmeric, coriander, and cumin; but depending on where you are from many other spices may be included. 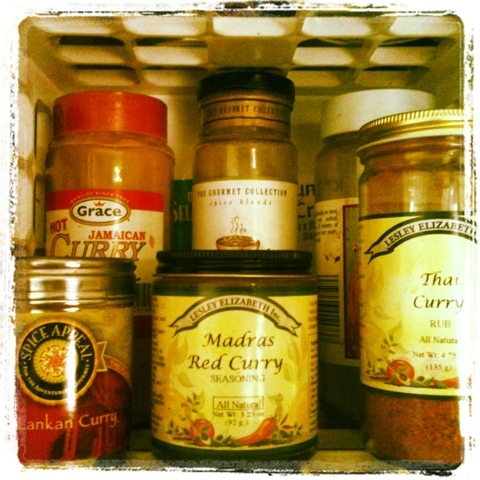 I love curry especially when it is spicy…..yum!!!!! Being Jamaican I grew up on this stuff and that was my introduction. But since then I have learned the history and have been introduced to Curry in many different cultures…..